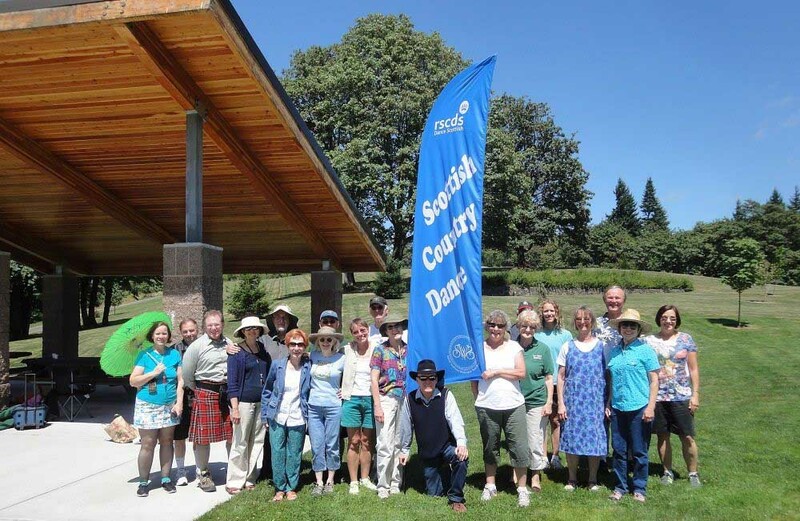 Our group, the Southwest Washington State Branch of the worldwide Royal Scottish Country Dance Society (and formerly known as Vancouver USA Scottish Country Dancers), covers the southwest corner of Washington. We schedule regular classes around the county. Our group occasionally performs demonstration dances. We also sponsor three annual dance parties with live music. During the Summer we may get together periodically for social dancing as arranged within the group. Call 360-887-1888 for information. Our group devised the Washington State Tartan in 1988, in time to commemorate the Washington State Centennial celebrations in 1989. (During these celebrations we danced at the state capitol.) The Tartan Bill recognizing the new tartan was signed into law in 1991, making the Washington State Tartan the first official state tartan west of the Mississippi. The tartan is also registered with the Scottish Tartan Society. In addition, we have assembled several books of original Scottish Country Dances. These books are described on our "Books and Items of Interest" page.